A DNF (Did Not Finish) is a bitter pill to swallow; it’s one I’ve never tasted before. In the past I’ve always found a way to recover and fight back no matter how bad things have become. Despite putting on a very brave face the experience knocked my confidence and I was shattered. I’ve sat on this story for a few weeks because the ending has been unclear to me. Everyone told me I’d learn from it and I’d come back stronger but I wanted to see for myself if this was true or if people just say that to make you feel better. It’s taken a good few weeks to unravel and a few more big rides but on Sunday I took part in the Tour of Cambridgeshire and my Etape Du Dales DNF became very clear to me. 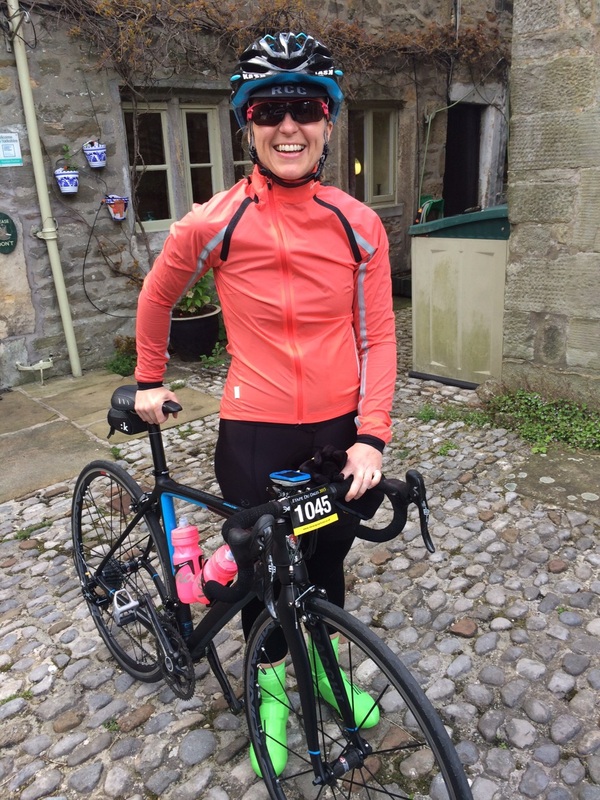 As I rode around the Etape Du Dales in a howling westerly wind that approached gale force on the tops my mind went back to my days before cycling. 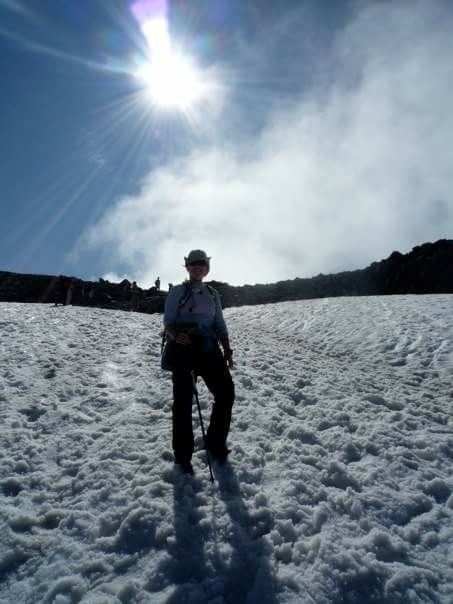 I was a hill walker and I’d regularly spend weekends in the Lake District climbing the fells. 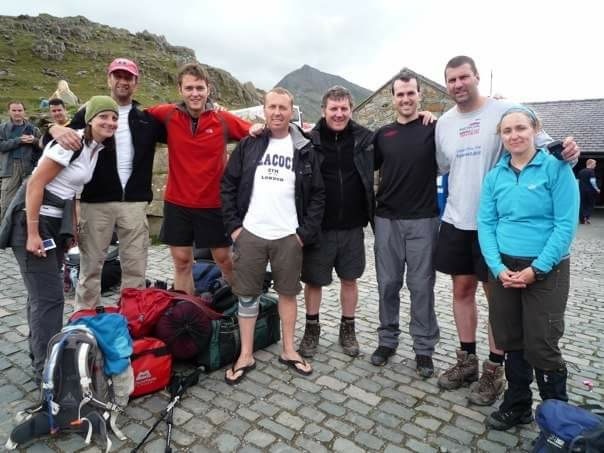 In 2009 I entered the popular 3 Peaks challenge, climbing Ben Nevis, Scaffell Pike and Snowdon. All 3 should be completed within 24hrs, sleeping if you can on the move but inevitably staying awake for most of the time. 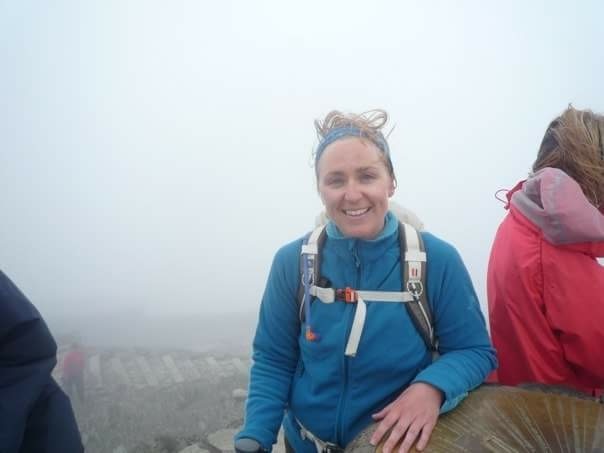 My 3 Peaks adventure turned in to an epic, I developed a migraine on Ben Nevis and I started vomiting. Somehow I managed to pull myself together, I drank some rehydration salts, I got to the top and back down again. We got stuck in bad traffic passing Loch Lomond so our 03:00am arrival at Scaffell Pike was not only well behind schedule it was perfectly timed for a nasty storm with 50mph gusting wind and sideways rain, the adventure of climbing in the dark was about to get very exciting. 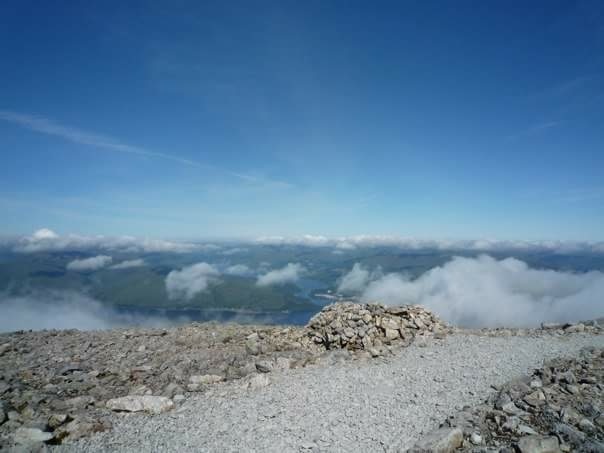 I’d recovered from Ben Nevis and found a new spirit, I was ready for this peak and I marched on. I’d never climbed in the dark but I found the experience, with only a head torch as my guide strangely reassuring. We only knew we’d reached the summit because we had altimeters, we couldn’t see past our own noses through the driving rain and we could barely stand up in the wind. As we approached Snowdon our driver got lost and we wasted further hours, the irony, he couldn’t find the highest peak so I took out my phone and using the map I guided us in. Upon arrival, the event organiser told us we’d missed the cut off point and we couldn’t complete the event, it was too dangerous, we’d been awake too long. 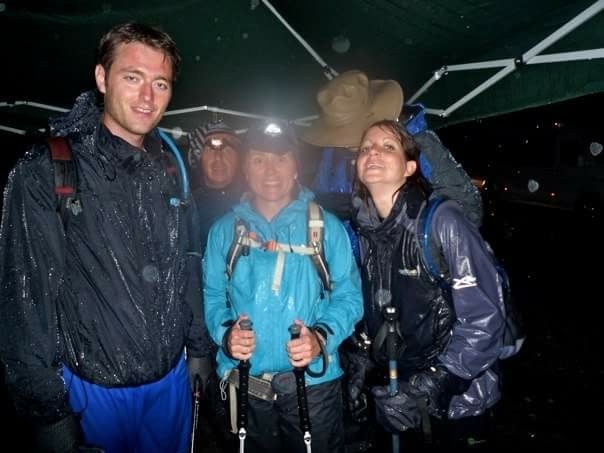 I was devastated, I hadn’t battled through vomiting, 50mph wind and rain to get to the final and easiest climb and be told I couldn’t do it, I was raising money for Breast Cancer Campaign and I wasn’t about to give up. Across the car park I noticed a café so I asked the organiser to put our bags there and as a team we’d carry on without support. 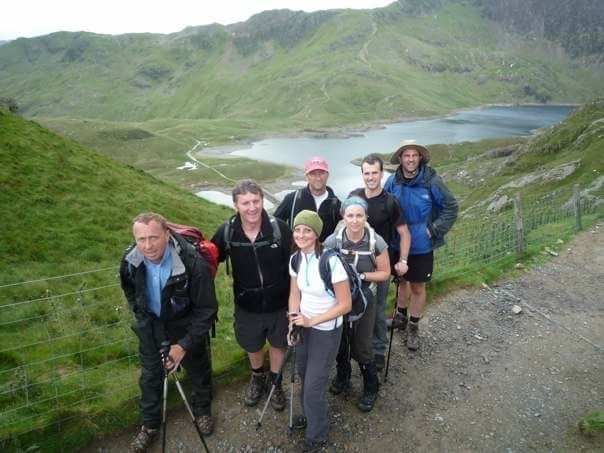 We understood the coaches were leaving, we’d find our own way home and back to London later after we’d climbed Snowdon. The whole team wanted to continue, we decided to stay together and complete this thing, we marched on and finished the challenge. The week that followed was a blur and I was exhausted. For the first couple of days I’d find myself on the wrong tube, a journey I knew really well but my brain wasn’t computing. It didn’t really matter though, I had a job, I could just about get my work done and when I went home at night I could go to bed or sit on the sofa and mentally switch off. No one really relied on me, I had a boyfriend but he understood that I would recover after a few days and life would return to normal. On Sunday during the Etape Du Dales as I reached the feed station at Moorcock they were shutting it down and I was told I wouldn’t reach the next feed station at Stainforth in time for the next cut off. If I chose to carry on it would be unsupported and they strongly advised against this. At the start of the ride my pockets were crammed full of food, enough to complete the ride but the weather conditions had changed the pace and now I only had enough for around an hour of riding and there was still 40 miles to go, in the conditions with the terrain this equaled at least 3hrs more riding. My head went a bit crazy, this was completely unexpected but all the way around I’d been thinking about the insane things I’d done in life before. I was thinking about those moments and matching them to this day, thinking in the past I had the will and determination to keep going regardless of what anyone said to me. I assumed I was showing myself I had the strength to keep going, no matter what obstacles were thrown at me. However right then as one of the organisers suggested it was too dangerous for me to carry on my mind instantly agreed with him and all I could think about was Savannah, her beautiful smile and infectious laugh. I’m her person; I’m her sole provider. It was an intensely strange feeling, I had battled my way through some of the most dangerous situations I’ve been in on my bike all day but I’d found the courage to keep going. 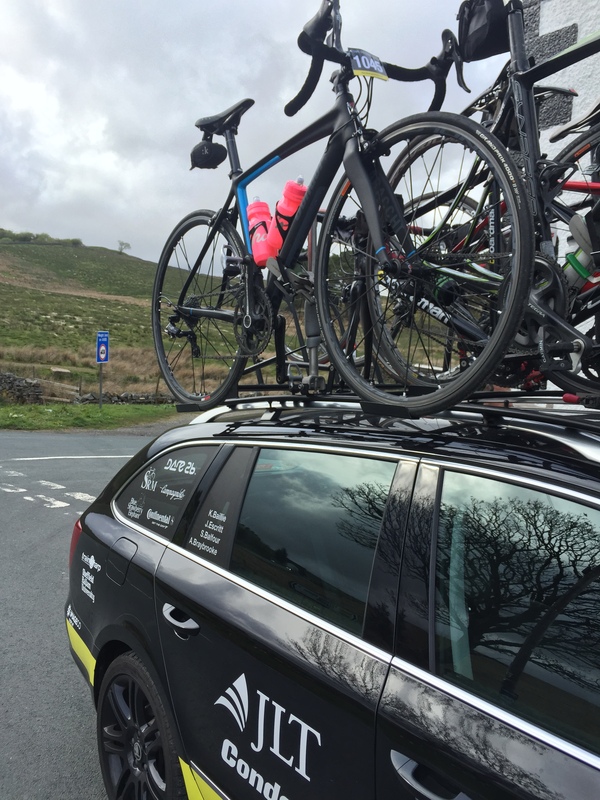 We’d seen a rider taken away in an ambulance at the bottom of Buttertubs. I’d really struggled on the descents, holding my own line, being blown around in the wind, I was pushed out in to dangerous places, faster riders passing me from behind were shouting at me on the fast descent of Fleet Moss and I didn’t have the strength to keep my bike on the left hand side of the road but I’d managed to keep going and fight the fear. I had that will and determination to carry on. The ride up to Tan Hill was probably the darkest time I’ve ever spent on a bike, I went to some really bleak places in my mind. I wanted to get off and throw my bike as far away from me as possible, I had to fight everything inside of me not to unclip, to keep going felt like the hardest thing I’ve done in my life. 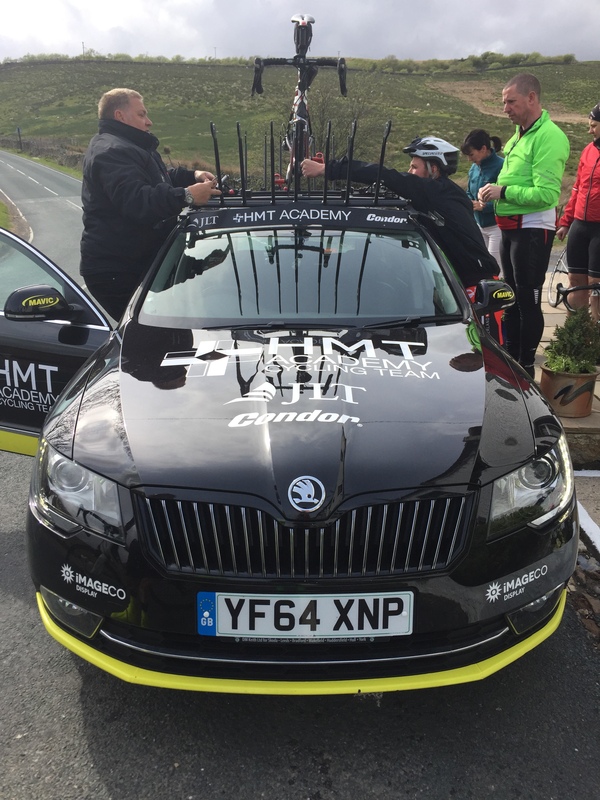 Reports after the event have shown riders putting out 250 watts going just 4mph and hearing that the support team based there were struggling to even stand up makes me feel a lot better, I managed to ride to the top. I managed to pass the riders that had given up the fight, the ones that were walking, pushing their bikes; this is something I find so hard. I have to add that there were some amazing moments in amongst the struggle and this is why I do it, this is why I ride my bike. Coming down from Buttertubs, looking across to my right presented me with some of the finest scenery I’ve witnessed, the hairs on the back of my neck are standing up right now remembering it and I truly believe you appreciate those views a million times more when you’ve reached the top by bike. 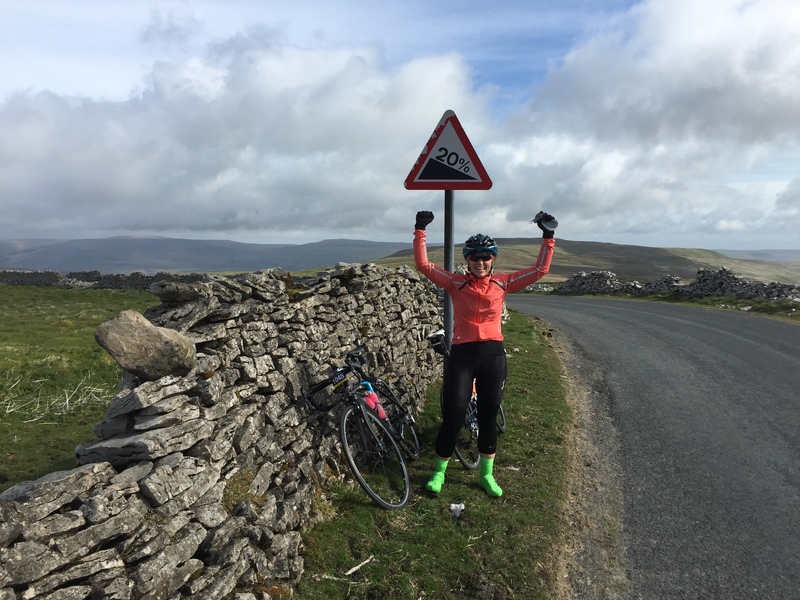 Yorkshire offers some of the finest scenery you might ever see from 2 wheels and provides some of the most challenging climbs the UK has to offer and this ride manages to include a good few of them. 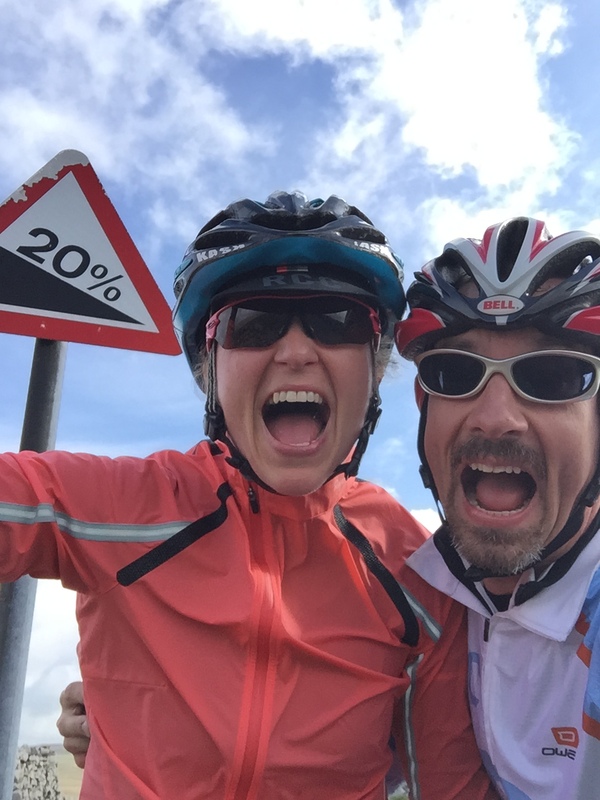 When I reached the top of Fleet Moss I was elated, I have the photo to prove it, this was one of the happiest moments I’ve had cycling. The challenge to get to the top of that climb was so intense, in the wind, the reward of getting there was 10 times greater than anything I’ve experienced in cycling before. I was riding well, I was climbing well and at times I was being told to slow down by my ride buddy and I was pulling away from him. I definitely had the energy and the determination to carry on, I have no doubt about that but when you’re faced with a local opinion that it’s probably wise to throw in the towel and you’ve got a 2year old daughter at home it’s a tough decision to go over that persons head. The course was being closed down; there would be no food ahead, no emergency support. On Sunday during the Tour of Cambridgeshire as we reached the 60 mile point the pace started to ease off within my group, we dipped below 20mph for the first time on our ride. We had a plan for this ride, our goal was 20mph average and I was trying to qualify for the World Championship Amateur Road Race. 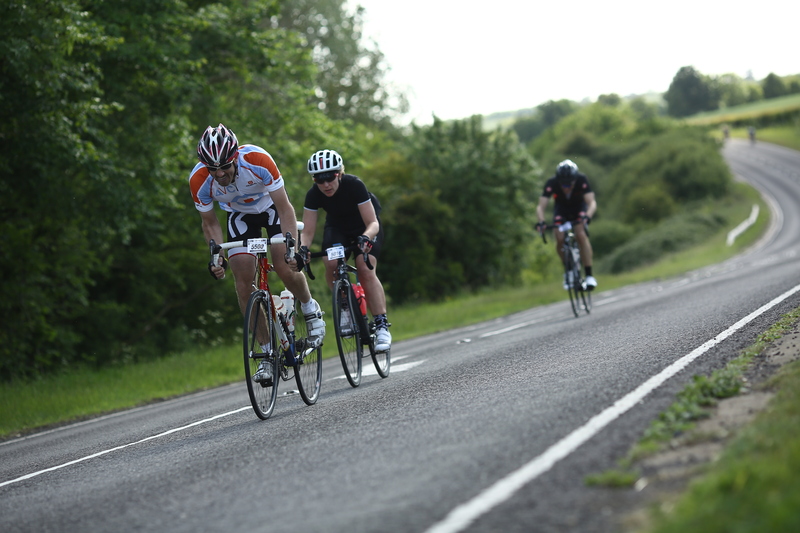 Although we were tired and it hurt we had to push on, we’d ridden 60 miles to plan and there was only 20 miles to go. In my mind I mapped that out as ‘just a local ride’ something we’d do casually on a Saturday morning, I was breaking it down that way, we were on the home straight, this job was done, there was no easing off now, we had to push harder and finish this ride and keep up the pace. 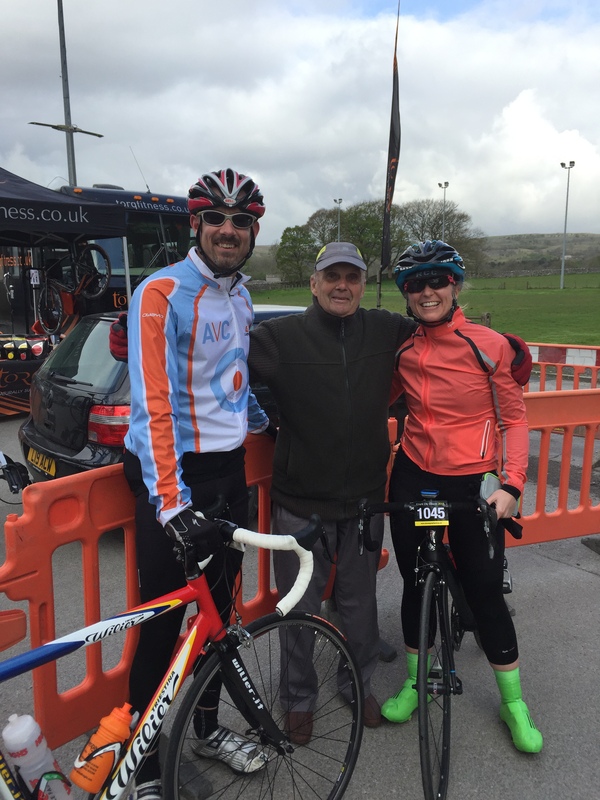 When I threw the towel in on the Etape Du Dales I thought I’d lost my nerve, I thought I’d given up the fight but I realised on Sunday we can be defined by how well we rise after a fall. 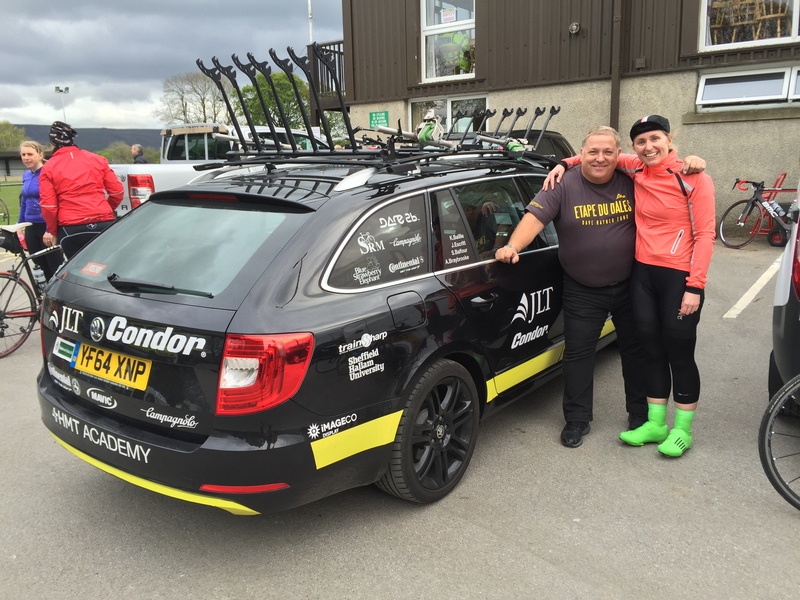 Great story, I live in fear of not being able finish a big ride and that fear / determination has so far been enough to get me to the finish…. Although I now fear my ToC ride has ruined my legs forever!! You use the words “throw in the towel”. I’d argue that covering 70 miles in those conditions over that terrain is a phenomenal achievement, inaccessible to 99.9% of the population. 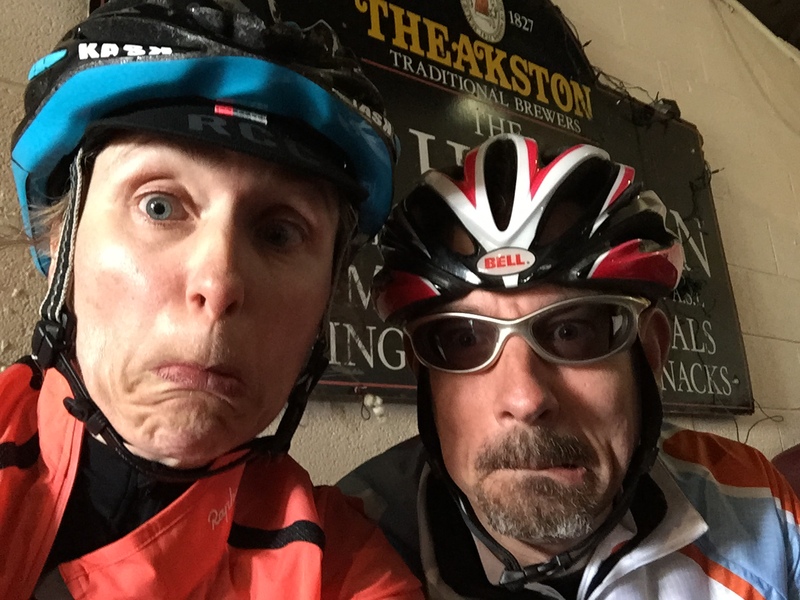 So I’ll just say kudos for getting to the Moorcock and having the self-awareness to make the right decision for you and your family…it was only thoughts of my cycling mad 4 year old which kept me going through the dark times! Great story. I can empathise with your experience of the EDD as I rode it too. The wind was a total game changer. It was also moving reading your thoughts about your daughter – it’s amazing how visceral these things become in the middle of an epic ride. Great work on the Amateur Worlds – way to make a comeback! I loved reading your review, have you changed your mind yet, never again? I’ve ridden in Yorkshire before, one of those days was in torrential rain and strong wind but nothing on this scale, it sucked the life out of me. It was still an amazing day, unforgettable and I’m glad I did it. I’m excited about the Worlds, as a 40yr old single Mum I never expected to get the opportunity to wear Team GB. I was hoping to slow down a little after the Etape Du Tour but I guess that wouldn’t suit me anyway. Have a great weekend, I’m off to attack the Dartmoor Classic and no surprises the weather looks a bit epic!